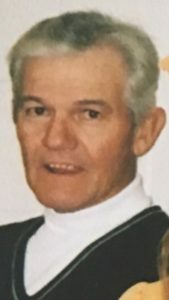 Wolverine, MI – George A. Prokop, 76, of Wolverine, Michigan passed away on Monday, April 1, 2019 at the Linda E. White Hospice House in Evansville, Indiana. George was born in Wayne, Michigan on May 13, 1942 to the late George and Margaret (Marcotte) Prokop. George retired from Spencer Brothers Construction after 40 years of service. He was a member of the Carpenters Union local 202 for over 50 years. He was an avid fisherman and loved hunting. He is preceded in death by his parents, great-grandson, Mikey Leddy. George is survived by his wife of 58 years, Rebecca Prokop; children, Michele (James) Waldfogel; George (Dawn) Prokop; Brian (Rose) Prokop; Kristin (Tim) Prokop-Torrice; 11 grandchildren; 8 great-grandchildren; siblings, Barbara Theaker; Judy (Steve) Fitzner; Carol (Mike) Jaroche; Diane (Kim) Widrig.